The Vasa is the only preserved seventeenth-century ship in the world, and a unique art treasure. 98 percent of the ship is original, and it is decorated with hundreds of carved sculptures. The 69 meter-long warship Vasa sank on its maiden voyage in the middle of Stockholm in 1628, and was salvaged 333 years later in 1961. For nearly half a century the ship has been slowly, deliberately and painstakingly restored to a state approaching its original glory. The three masts on the roof outside the specially built museum show the height of the ship’s original masts. Today the Vasa Museum is the most visited museum in Scandinavia, with over one million visitors a year. There are eleven different exhibitions around the ship to tell about Vasa, her time and her modern history. 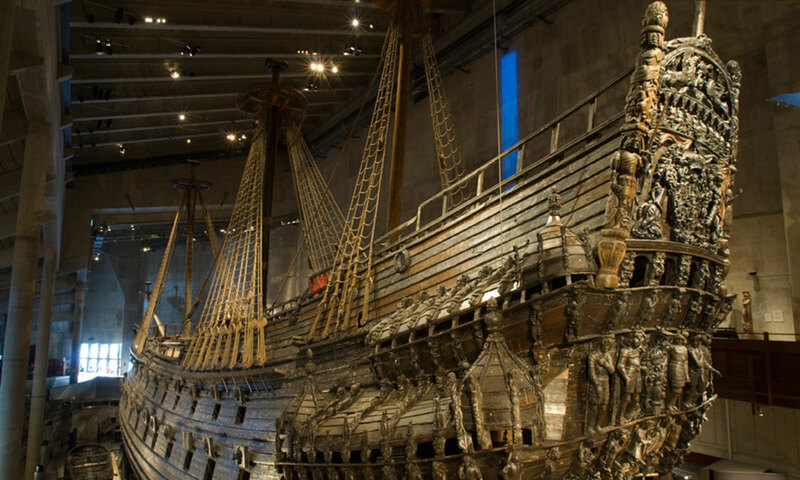 Learn more about Vasa and the museum here.